MEDIC Regional Blood Center: Skip The Shirts For East Tennessee Children’s Hospital! Skip The Shirts For East Tennessee Children’s Hospital! MEDIC Regional Blood Center is excited to once again partner with East Tennessee Children’s Hospital. 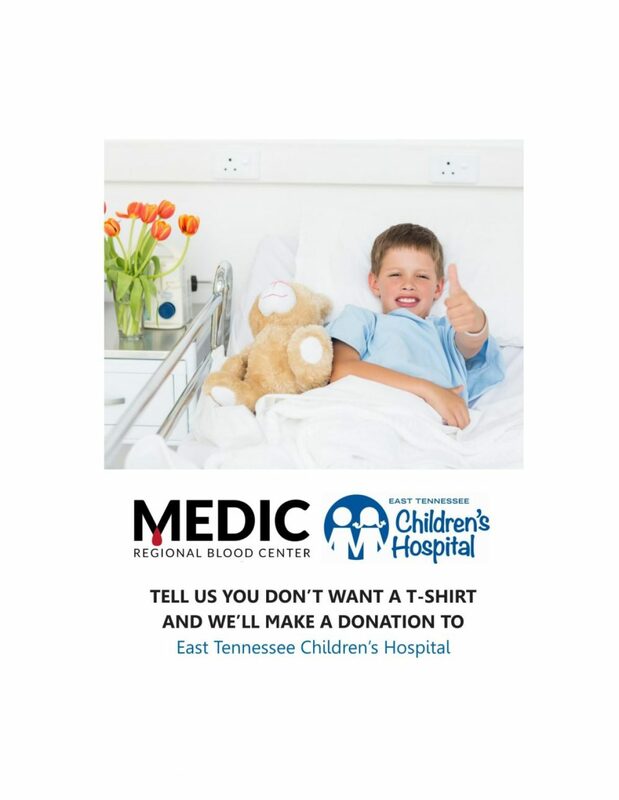 For the entire month of December, blood donors are invited to skip the free t-shirt that they are normally given after donating life-saving blood and in-turn, MEDIC will donate the cost of the shirt to East Tennessee Children’s Hospital. ETCH is a 152-bed hospital that provides high quality pediatric care in East Tennessee, and has been a part of the community for over 75 years.